As a website design company, we at Oxley have been fortunate enough to work with a multitude of clients in various industries. Our clients have ranged from large corporations to small “Mom and Pop” shops. As expected, some projects are more seamless than others and although it’s the job of your web designer to make sure everything smoothly, there are several things that you as a client can do to ensure that your website design process is as easy and smooth as possible. What do you need the website for? Why will these people be using your website? How will these people be using your website? It is extremely important to answer these questions in as much depth as possible as they are the building blocks for the site and will give your designer an idea of what you expect out of your website. It is also important that your designer knows if you plan to change the purpose of the site in the future. For instance, you may have intentions to sell products on your website in the future but are not ready to start selling your products online right away. Knowing your future plans for your website allows the designer to build it knowing that you intend to upgrade, and will allow them to make the necessary adjustments to simplify the future. Another great way to help your designer is to give them examples of websites (or parts of websites) that you like, and more importantly, why you like them. Examples help us designers figure out what you as the client like both from a visual and functionality standpoint. While you shouldn’t expect your designer to directly copy another person’s design, examples do help designers come up with new ideas and ways to use these ideas as part of the design of your website. One of the biggest elements in today’s website design are the images you use on your website. Images really can be the determiner between a great website and a mediocre one. Whether you plan to buy stock images or you already have your own, it is important to provide your designer with high-resolution versions of the images so they can be scaled down without quality loss. This includes your logo, which if possible should be provided in vector format (.ai, .eps, .pdf). This is especially important these days as the screen resolution of many devices is rapidly increasing. Another very helpful thing to provide your designer with early on is the written content. One of the biggest struggles of designing a website is writing high quality content. Providing well written content will help your designer determine the purpose for each page and will allow them to setup the website’s hierarchy in a way that is the most user-friendly. If you plan on hiring a professional copywriter, it is important to give that copywriter information about your company whether it is through a pamphlet or via a detailed email about your company and the products or services it provides. Well written content will also help boost your SEO efforts by providing users with interesting and relevant content, which in turn will help increase your overall ROI. Lastly, it is important to let your website designer do their job. Once you are sure your website designer has everything they need to get started, you should give them enough time to come up with something. Let them guide you through the process and don’t try to micro manage. Projects take time to develop, and the more time your designer spends on phone calls and emails, the less time they can spend designing. Many small changes can be lumped together into a list with multiple requests. If it seems like your designer is going in a different direction than you imagined, ask them why. They very well might have a good reason as to why they chose the route they did. To recap, proper communication will help ensure a smooth design process. Examples of websites you like are very helpful and can be used to inspire or point your designer in one direction or another. High quality images are incredibly important and will hugely impact the appearance of your website. Well written content will not only help your users find the information they need but will also boost your SEO efforts. Websites take time and skill to build properly. 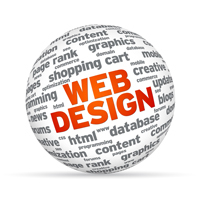 Trust your web designer to do their job, which is of course, to build you a beautiful website.